Catalog Home > It's Your World™ Series, Mexico: A Colorful Land of Exotic Culture! 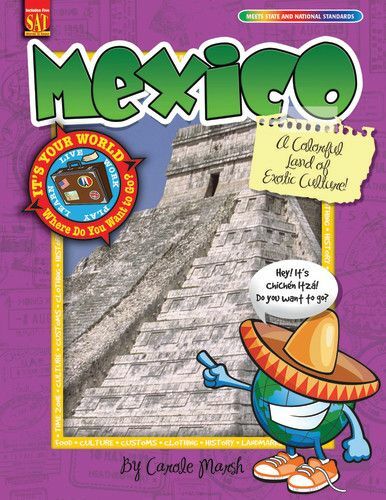 It's Your World™ Series, Mexico: A Colorful Land of Exotic Culture! Kids will learn about Mexico with an engaging, modern look, and timely, relevant, high-interest information and activities. Schools are integrating more and more world geography and events into the social studies curriculum. 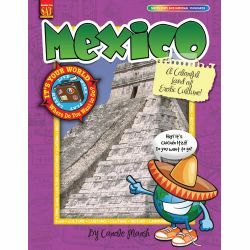 This educational book on Mexico includes information on its past and present and will come alive with food, culture, history, and famous people PLUS an introduction to the language.